Welcome to the December Review Link Up for the 2014 Netgalley & Edelweiss Reading Challenge. Before linking your reviews make sure you are signed up for the challenge here. I have had so much fun hosting the Netgalley & Edelweiss Reading Challenge this year and I want to thank every single one of you! Also, I would love if you are mentioning the challenge/doing an end of the year post to leave a link in the comments so I can see how you did this year! 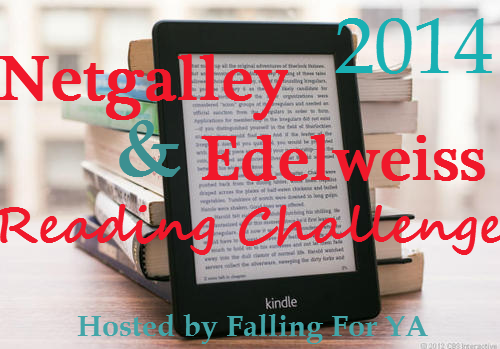 Also, if you would like to sign up for the 2015 Netgalley & Edelweiss Reading Challenge you can do so here! I made 25 books today, thus completing the silver level. Didn't think I'd make it that far when I first signed up! Yay!! I'm glad you hit 25 =D Are you going to be joining the challenge in 2015?